Fionnula Quinn and young designer. Cold messy weather kept the turn out for our March monthly meeting unusually low. But those in attendance got to hear a wonderful presentation by our good friend Fionnula Quinn on the work of her company, The Bureau of Good Roads. 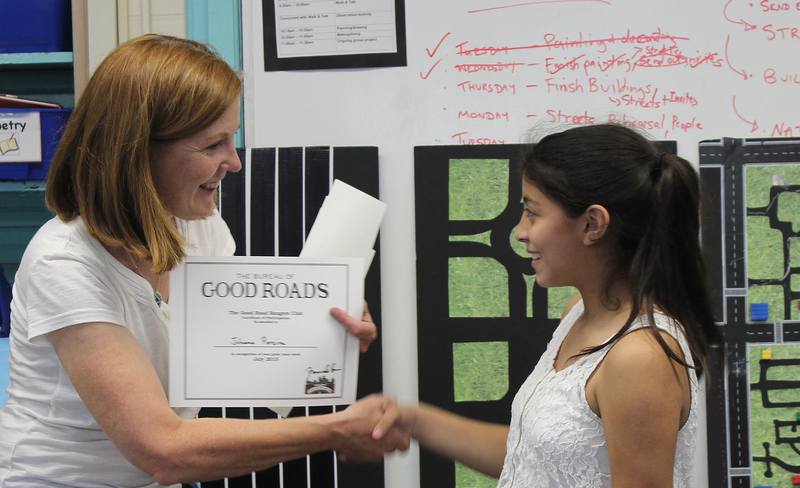 The main goal of The Bureau of Good Roads (BGR) is to help to communicate ideas to the public to gain support for transportation improvements. The core of BGR’s program is to show how safe and accessible infrastructure gets built and the importance of public involvement. 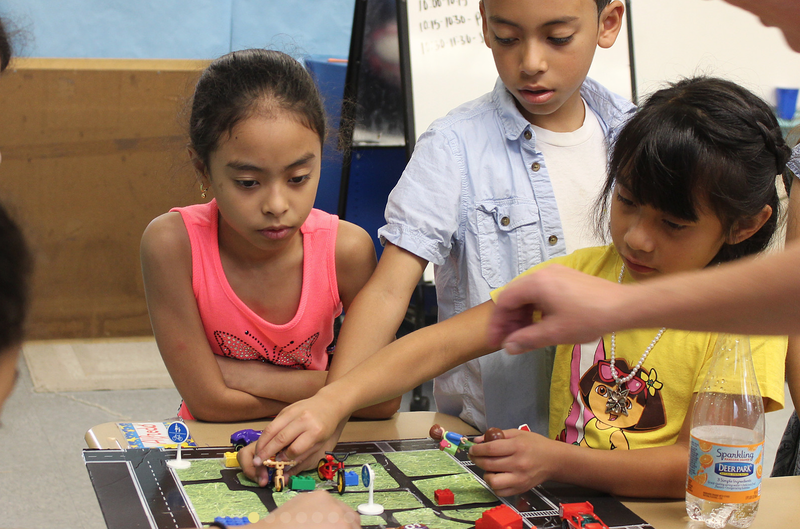 BGR creates design challenges, field events, and hands-on demonstrations for children and adults to explain the ideas behind how our streets are put together and how they work. BGR classes and workshops help to educate the public about design basics to promote acceptance of ideas about safe and accessible infrastructure. The business, which started in 2016, grew out of Fionnula’s earlier advocacy work with FABB and her desire to engage people and help them understand general aspects of multimodal transportation design before public meetings on specific projects are held. BGR projects include real-life design and safety principles and highlight the role of STEM professionals. 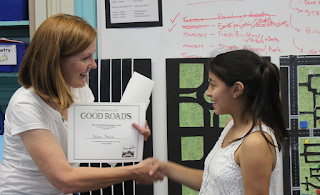 The activities advance ideas through telling stories and simple design projects and often include presentation on the history of the original Good Roads Movement in the United States between the late 1870s and 1920s. These stories and activities highlight the importance of public involvement in getting streets built that meet community needs. In addition to classes and workshops, BGR leads walks in the region that talk about the history of the design of specific streets and discuss future ideas for evolving infrastructure. Upcoming walks are scheduled for 1 April in Downtown DC and Anacostia and for 4 May in Reston.